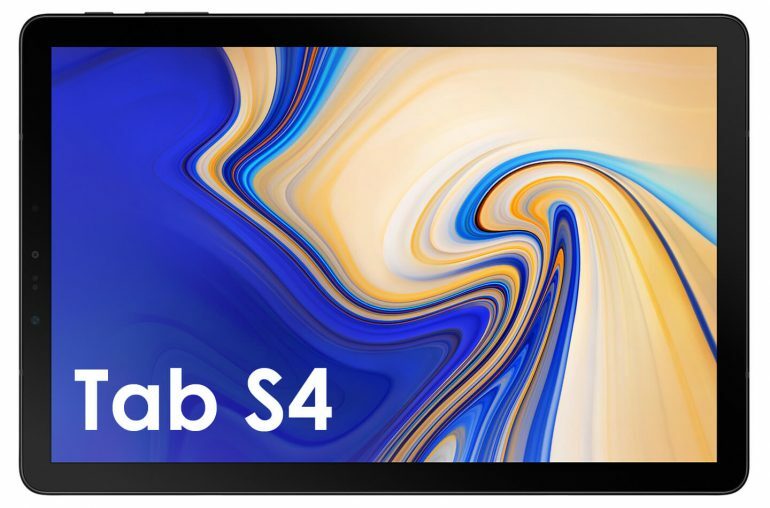 The Galaxy Tab S4 is now official. This Samsung tablet comes with a S Pen, offers DeX support, a longer-lasting battery and the KNOX security system. After months of speculations Samsung has finally introduced the Galaxy Tab S4. This advanced 2-in-1 Android tablet comes with a refined S Pen and it’s the first Samsung tablet to offer DeX support. Thanks to a longer-lasting battery users can fully enjoy the enhanced entertainment features. The Samsung Galaxy Tab S4 is designed for people who want to do more on the go, from home to the office and everywhere in between. Paired with a polished modern design, an immersive display, four speakers and enhanced entertainment features, the Tab S4 is the perfect device for those who need something portable like a tablet and capable like a PC. With Samsung DeX, longer-lasting battery and the refined S Pen, the Samsung Galaxy Tab S4 makes for easier productivity and more immersive entertainment. With the Galaxy Tab S4, Samsung is bringing Samsung DeX to the tablet for the first time. 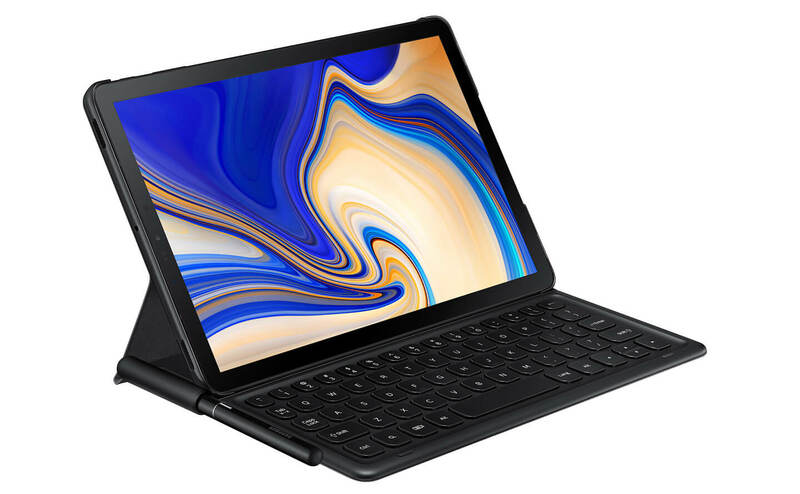 When connected to the optional Book Cover Keyboard (sold separately) or launched from the Quick Panel, the new Samsung tablet powers on Samsung DeX, giving users the option to switch from the Android interface to a desktop experience. With Samsung DeX, you can open multiple desktop-style windows for your Android apps, including the Microsoft Office suite, directly on the Galaxy Tab S4, and re-size them when needed. Drag and drop content between apps and use keyboard shortcuts and commands for efficiency. If more screen is needed, there is also an option to extend Samsung DeX to an external monitor with a compatible HDMI to USB-C multi-port adapter (not included). 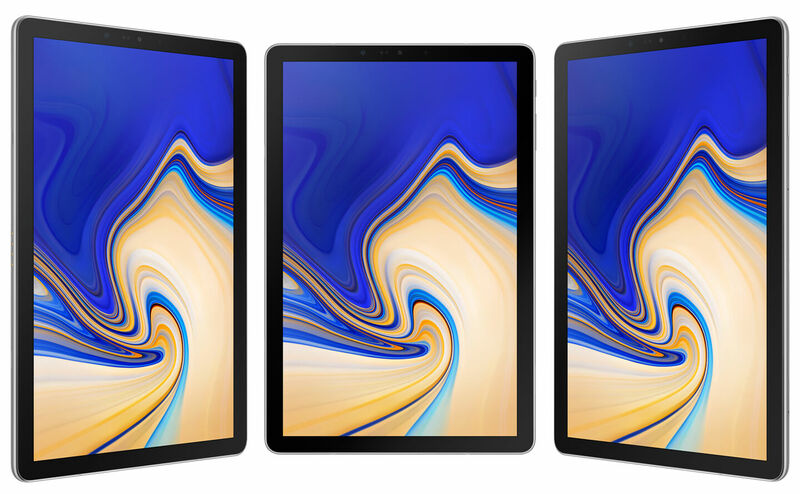 When connected, the Galaxy Tab can serve as a track pad or a sketch pad, and new this year, the Galaxy Tab S4 can continue to work as a fully functional Android tablet, giving users two screens to accomplish tasks. Whether at home or on-the-go, the Galaxy Tab S4 keeps you going with a 7,300mAh battery that provides up to 16 hours of video playback. Additionally, with Samsung Knox, Samsung’s defense-grade mobile security platform, customers and companies can ensure critical information is protected at multiple levels of the device. IT managers can also tailor the employee interface to align with business needs. Samsung’s S Pen comes in the box with the Tab S4 to satisfy even more productive needs. It offers users a great way to express their creativity and communicate. They can take notes on the fly through the Screen-Off Memo feature, as well as navigate, translate and organize notes through Samsung Notes, and even send personalized texts through Samsung Live Message, all with the S Pen. It’s easier to get more done when you have the right screen. Even the busiest professionals still take time to sit back with a game or movie. Now you can enjoy a more immersive experience on a device you can take anywhere. 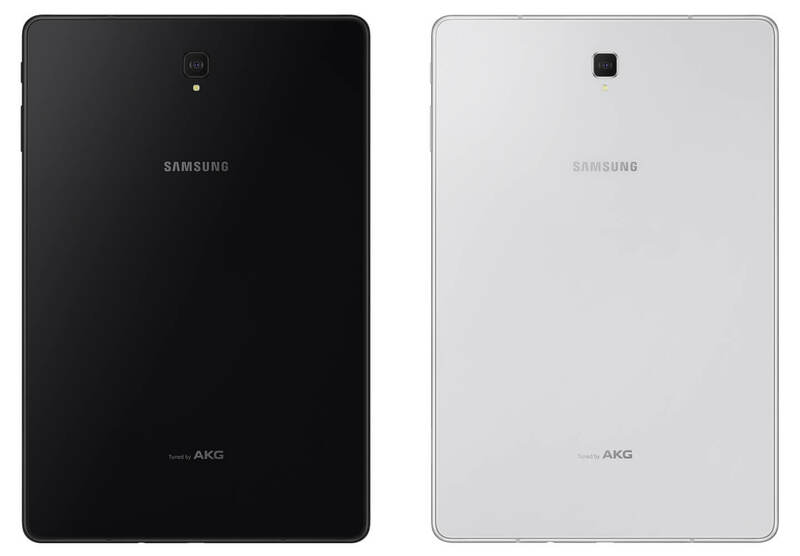 While similar in size to the Galaxy Tab S3, the Galaxy Tab S4 sports narrower bezels to fit a large 10.5-inch display with Super AMOLED technology, as well as a 16:10 screen ratio with 2560×1600, 287 pixels per inch (PPI) resolution for vivid picture detail and true-to-life visuals. When it comes to audio, the Galaxy tablet comes with four speakers tuned by AKG and Dolby Atmos immersive sound technology, which brings entertainment to life through moving audio that flows all around you. With Dolby Atmos, the Galaxy Tab S4 supports crisper dialogue, enveloping sound fields, maximized loudness without distortion, and consistent playback volume. The Samsung Galaxy Tab S4 also features new and improved capabilities designed to manage your connected devices and lifestyle. Samsung Flow allows users to manage all of their devices easily by connecting and transferring files, tasks and notifications seamlessly. The SmartThings app on the Galaxy Tab S4 makes it easy to monitor and control your smart home devices right from the tablet. Plus, the Galaxy Tab S4’s Daily Board allows you to view your favorite photos and everyday information such as the weather, calendar and time in one, easy-to-access place.